Rebecca Kilgore is one of America’s leading song stylists who finds particular delight in preserving and interpreting the music of the Great American Songbook. 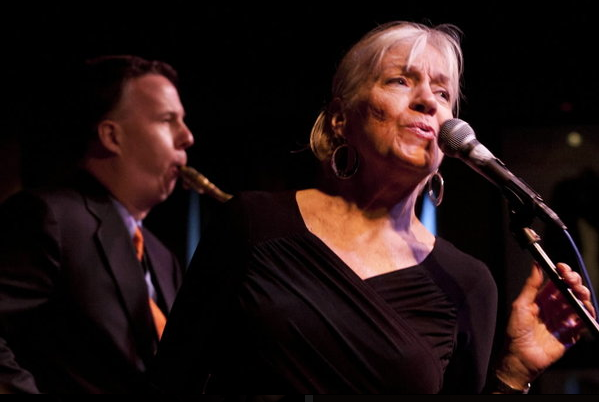 Ms. Kilgore teams up with master jazz sax master Harry Allen and vocalist Rebecca Kilgore team up for an evening of classic songs made famous by Judy Garland. Show features Allen (tenor saxophone), Bill Cunliffe, (piano) Joel Forbes (bass), Kevin Kanner (drums). The show also celebrates the retirement of WUSF-FM Jazz Director, Bob Seymour. La Lucha, a great local jazz band, will lead a jazz jam and party downstairs in the Side Door, starting around 6:30-7pm. One ticket and you get both events. For Tickets, call 727-822-3590. $26, $40 with discounts available.